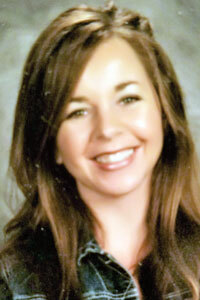 FOSTORIA — St. Wendelin Catholic School is welcoming a 1995 alumna as its new principal. Kitchen said she had been planning on overseeing the high school, but with the announcement of its closing, Kitchen said she had been asked if she would accept the role as principal for the K-8. Kitchen earned a bachelor’s degree in education-intervention specialist from Bowling Green State University and a master’s degree in educational administration from Grand Canyon University. Kitchen was also a Martha Holden Jennings Scholar in 2009 and has a five-year professional license in education of the handicapped and principal. Kitchen previously served as an intervention specialist at Hancock County Educational Service Center and a PATHE — Positive Approach to Handle Emotions — program through Wood County Educational Service Center. She most recently served as an intervention supervisor/principal for grades K-12 through the PATHE program. “I will work hard to give back to this outstanding Catholic educational institution that has helped build a solid, faith-filled foundation for all students who have and who will grace the hallways,” she said. Kitchen said what she values most is that St. Wendelin – the parish and school – can teach and develop the faith and formation of the whole person – mind, body and spirit. “I appreciate that St. Wendelin’s facilitates the integration of Catholicism throughout the entire curriculum, which will give the students a Christian understanding of the world,” she said. Kitchen is taking the place of Cathy Krupp, who returned to serve as principal in the fall of 2015. She is a 1973 graduate of St. Wendelin and is retiring. She also has served St. Wendelin as an elementary teacher and principal. Kitchen said she hopes to help increase enrollment and continue to provide a learning environment that cultivates young leaders who can meet the challenges of the 21st century through faith-based learning, developing critical thinking skills through problem-based learning and service learning activities. St. Wendelin’s registration is open for the 2017-18 school year. Families interested in enrolling their children are to contact Kitchen at (419) 435-8144, ext. 302 or teresa.kitchen@stwendelin.org or Celia Stockton at (419) 435-8144, ext. 319 or celia.stockton@stwendelin.org.